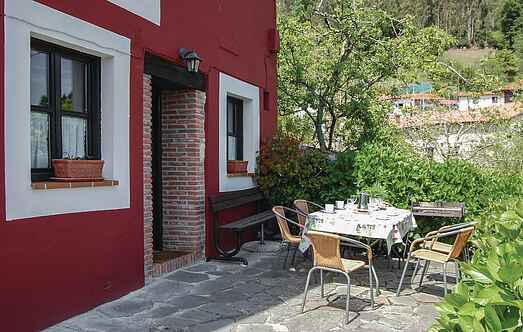 Find a vacation home to rent in Asturias from our list of vacation rental properties. Campaya has over 44 vacation homes available in Asturias, which give you the possibility to locate a unique accommodation in Asturias which completes your check-list in search for the perfect self catering vacation apartments in Asturias or vacation villas in Asturias. Traditionally styled wood and stone holiday home which has been lovingly refurbished and boasts a cosy and comfortable interior. Only 2 km from the stunning beaches of Llanes, this beautifully furnished apartment is located. The ideal location allows you to reach all shopping facilities within a few minutes. This beautiful holiday home is located in a spectacular scenic setting in the small village of La Castañal, with just 15 inhabitants. This holiday house in Debodes lies at the foot of the Picos de Europa. Debodes is a small village 18 km south of the seaside resort of Llanes. The holiday home is located on peninsula on the Asturian coast, 150 metres from the beach of Los Cristales (gravel beach) and the Antromero cove, a beach with fine sand. Holiday home in charming Villamayor, a characteristic Spanish village in Asturias, 50 km east of Oviedo and 30 km south of the beaches of Colunga. 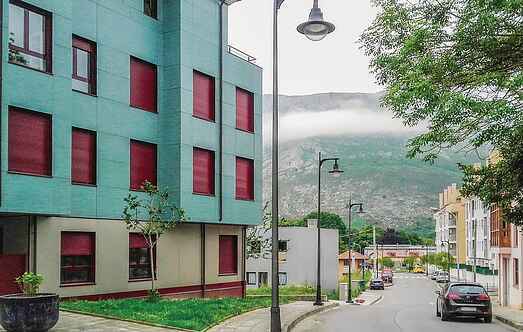 Apartment in the countryside in Cazo, a small mountain village in the Natural Park Ponga in Asturias. This beautiful holiday home with private land is located in the town of San Juan de La Piñera in the municipality of Cudillero with its 9 beautiful beaches. The classic holiday home "Casa Güela", is located in the quiet village of Parres de Llanes at the foot of the "Sierra del Cuera". This spacious and cozy holiday home is located in El Cueto, Llanes, in the Northern Spanish province of Asturias. It can accommodate up to 6 guests. Fantastic and cosy two-storey holiday home located in the village of Pandiello, in the Asturian municipality of Cabrales and 6 km from the Picos de Europa National Park. This holiday apartment is located in the idyllic village of La Franca in the municipality of Ribadedeva. Beautiful holiday apartment located at the entry of the town of Llanes Situated in a private residential complex with a pool and views of the Sierra del Cuera mountains.